Meet HappyOrNot at EuroCIS, Düsseldorf, Germany on February 19-21, Hall 9, booth E34. EuroCIS, the Leading Trade Fair for Retail Technology, is an annual, targeted exhibition and forum where leading decision makers and experts from around the world can keep up with the pace of supply and demand, innovation, and investment. 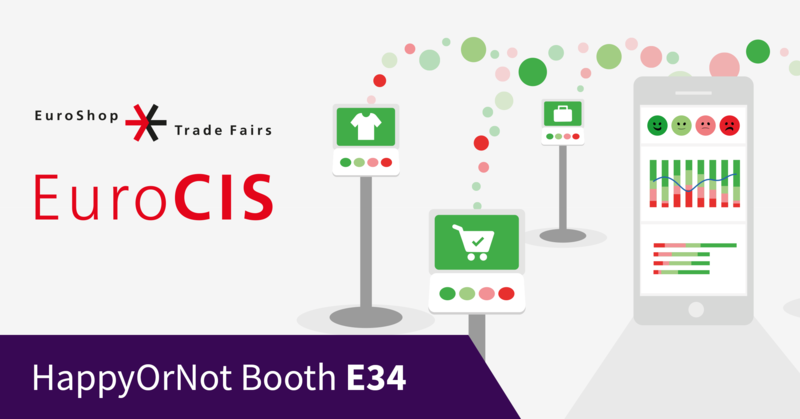 EuroCIS provides the most important specialized information platform in Europe for communications, information and security technology in retail. Since 2009, HappyOrNot has been helping retail companies from all over the world capture and analyze millions of customer feedback responses in real-time, and turn CX data into actionable business insights that drive growth. A trusted CX improvement solution by leading retailers worldwide, our innovative ‘Smiley’ feedback system is more than just the Smileys – it is a simple, yet revelatory data analytics technology that delivers proven CX improvement results. 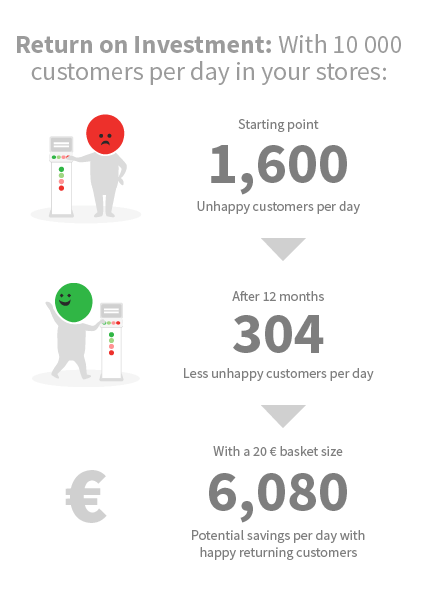 The outcome: retailers who use HappyOrNot decrease customer dissatisfaction by 19% in just 12 months–turning happier customers into bigger profits! Learn more about how you can turn CX data into actionable business improvements. Choose the right time below!